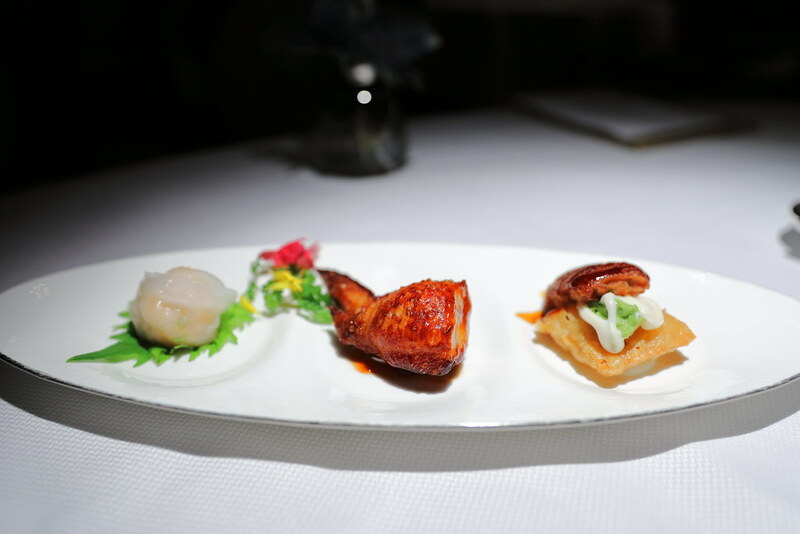 For this festive seasons, Cassia, the Cantonese restaurant at Capella Singapore has curated the Treasure Set Menu to celebrate the occasion. Guests will be able to enjoy a collection of the signature dishes from the Treasure Set Menu. 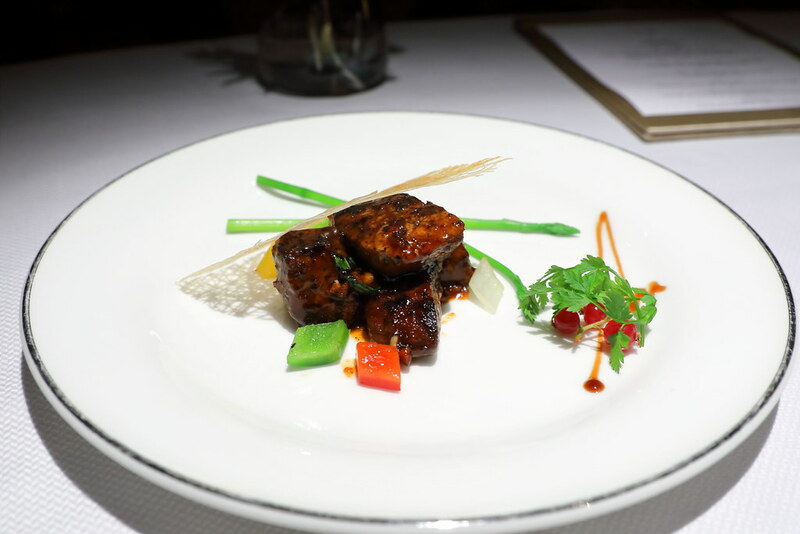 The 6-course set menu is priced at $98++ for lunch and $168++ for dinner. 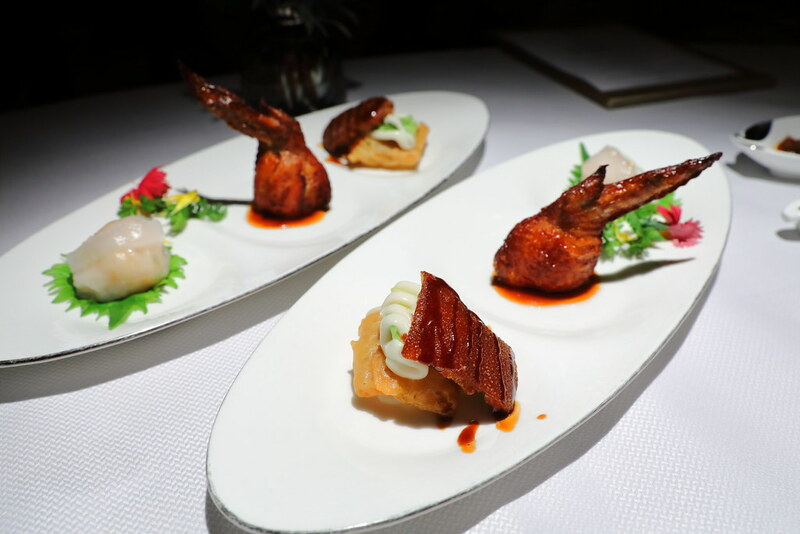 We started with a Trio of Appetiser which consists of Crispy Suckling Pig with Avocado and Crispy Beancurd Skin, Chicken Wing Stuffed with Minced Shrimp and Steamed Lobster Dumpling with Gold Flake. My favourite is the crispy suckling pig for its crackling skin, complemented by the sweet sauce. On top of that, the crispy beancurd skin gives the dish an added boost in crispiness. Next is a nourishing bowl of Double-boiled Thick Chicken Broth with sea cucumber, fish maw, dried scallop and sea whelk. 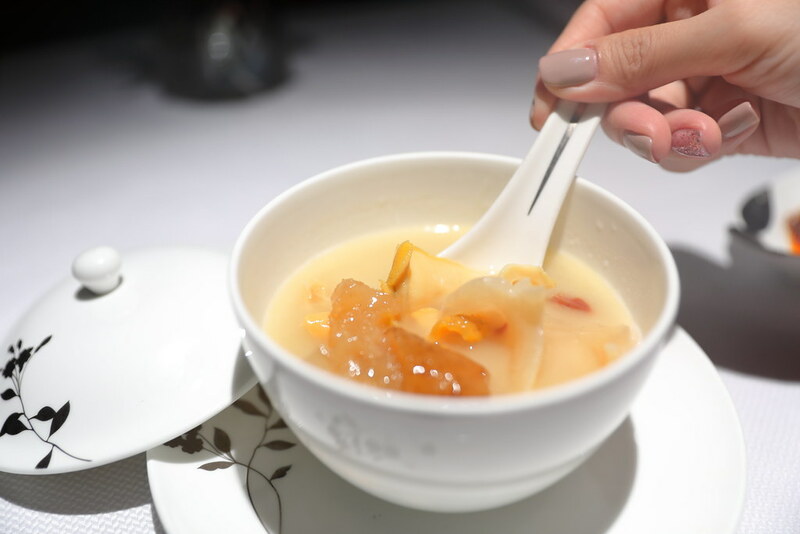 Besides the brimming bowl of premium ingredients, what I enjoyed most is the collagen rich soup which is packed with the essence of the ingredients after hours of boiling them. Cut into cube shapes, the Signature Wok-Fried Australian M9 Wagyu Beef given a coat of peppery kick from the black pepper. The beef was also tender and juicy. A classic dish that has been well executed. Next is the Steamed Lobster with Crispy Fermented Bean Paste. 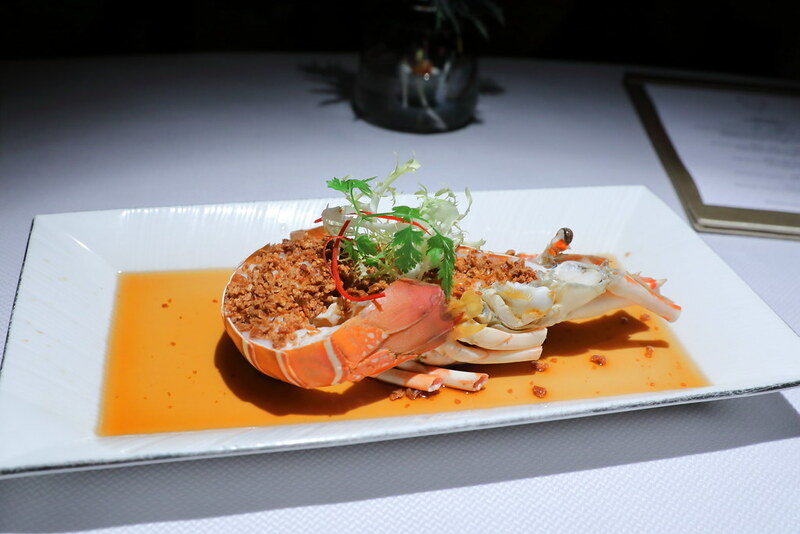 While the lobster is beautifully cooked to a nice bouncy texture, I didn't feel the crispy fermented bean paste bring out the best of the meat. All Chinese meal will usually ends with a rice or noodle dish. 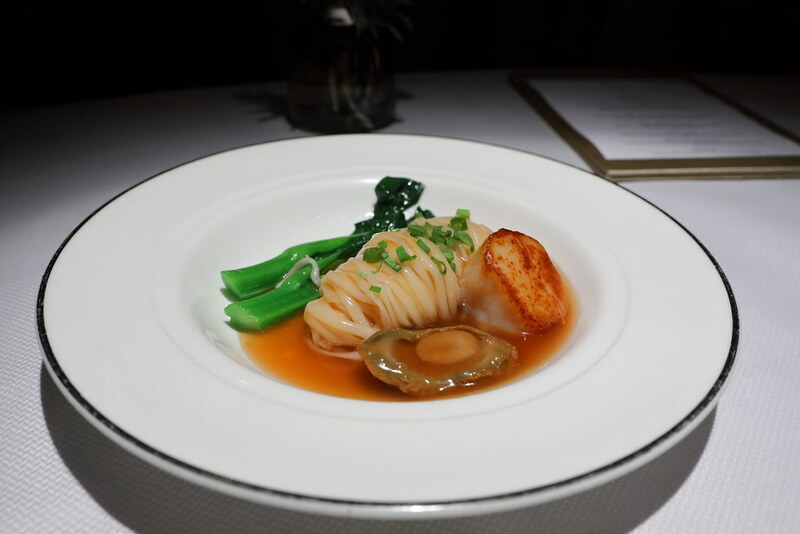 It is no different with the Treasure Set Menu in which I was served Stewed Inaniwa Udon with Abalone and Pan-fried Scallop. I like the silky texture of the Inaniwa udon. Unfortunately I find the sauce was a bit heavy with the sodium chloride. 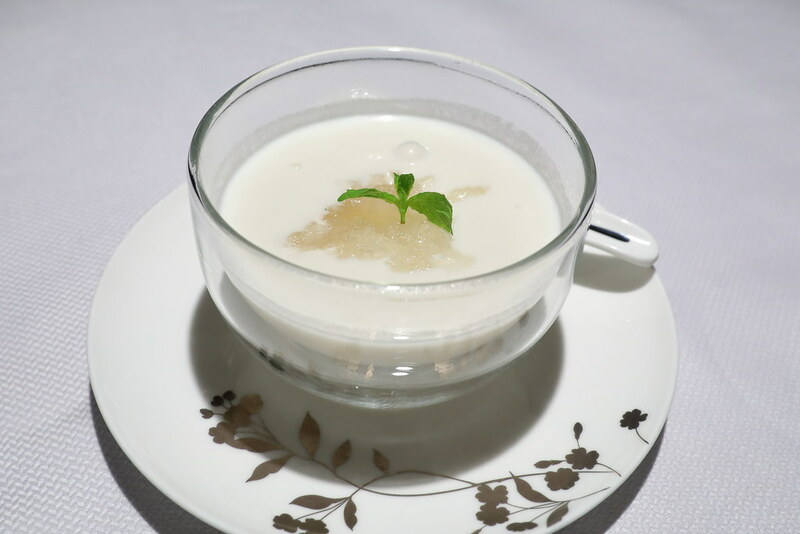 Lastly I had the Homemade Almond Cream with Bird's Nest for dessert. I can't complain about the generous serving of bird's nest but a worthy note is the almond cream. It was smooth, creamy and well balanced to complement the bird's nest.